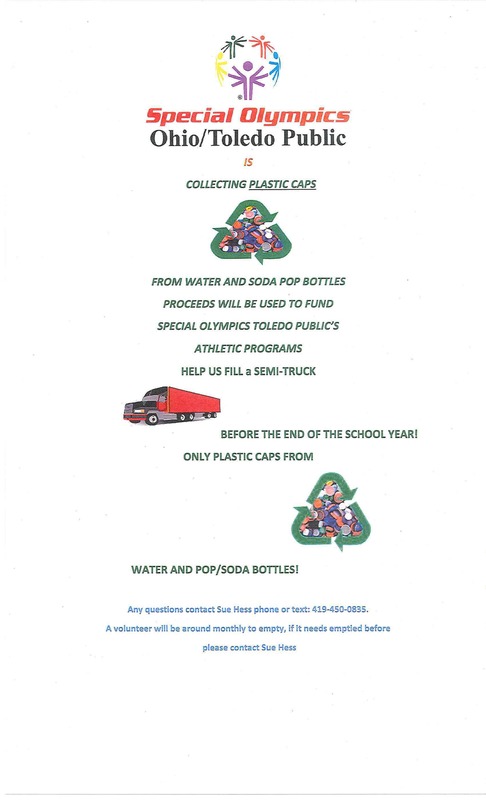 Toledo Public Schools Special Olympics is being challenged to fill up a semi-truck with bottle caps from plastic bottles, pop bottles, etc. by the time school is out (approximately June 1, 2016). If TPS Special Olympics reaches their goal, they will earn $5,000.00 to help fund the various sports (all of which are completely free to the athletes). Bugbee & Conkle is participating office wide and we invite everyone in the Toledo area to join us collecting bottle caps in the workplace. It will take a lot of bottle caps to fill a semi! For more information, see the poster below which is being used by the campaign if your office would like to participate.